What a year it’s been for the global beer industry. The craft boom may have ebbed slightly in the US, but IPAs, pale ales and saisons from independent brewers the world over have continued to make their presence known, from California to Clackmannanshire, and Brits’ appetites show no signs of being sated just yet. New brewers continue to come to the market, and while their branding has become increasingly eye-catching and their followers more passionate than ever, standards wil always vary from business to business. Four years ago, we launched the Global Beer Masters to suss out the serves that were soaring. Applying our tried-and-tested formula for assessing wines and spirits – which sees the drinks business blind tasting drinks according to price and style, but without prejudice about their country of origin – we added beer to our list of products, hosting an inaugural beer tasting competition in London in 2014. This year, our 12-strong team of experts worked their way through a wide range of beers, organised into broad style categories that included lager, bitter and stout. There’s just one thing our panel of experts are interested in: quality. 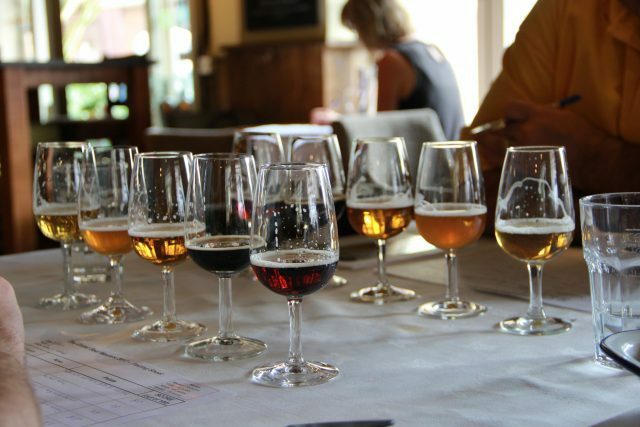 So just as in previous years, we blind-tasted beers that have been produced by small brewers and those that come from the stable of large breweries side-by-side. Phoebe French, db, and James Kellow, Crate Brewery, judge the extensive lager category. Given that we saw a high quality level across the board, it’s testament to our panel’s unwavering standards that just two beers were awarded a Master – our competition’s highest accolade – awarded to only the most exceptional drinks in the competition. “Entries came from almost all corners of the beer-producing world and made for a fascinating and varied cross-section of flavours in each style category,” Lotte Peplow, UK and European representative of the Brewer’s Association, and co-chair of this year’s Masters, said. Shane McNamara, co-chair of our Masters judging panel, noted how brews that stayed true to form and focused on quality outperformed some of the more innovative drinks that entered the competition. “This year, the beers once again reflected a strong focus on quality for most brewers, with very few typical unintended brewing faults spotted,” he said. 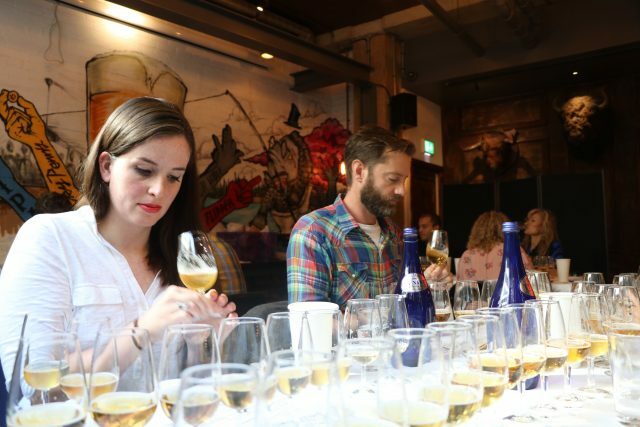 Although it may seem counter-intuitive to writers and critics at the heart of the industry, if this year’s blind tasting taught us anything, it was that the world’s most valuable beer brands have vast global followings for a reason. Four Gold medals were awarded to lagers this year, two of which went to Heineken and San Miguel. Beer sommelier Jacopo Mazzeo, who also sat on the panel, said: “Judges (including myself) always seem to be surprised at the fact that mass-produced beers can score highly. As a beer professional, it makes you think, and I believe delivers the right message to the consumer. The actual quality of the product is what really matters.” Of course, there were some shining stars from smaller businesses. A lager from London craft brewer Toast – famed for making beers from leftover bread – picked up a Gold, alongside a serve from Scottish brewery Harviestoun. “Lagers are technically difficult to brew because of their lighter balanced flavours and longer fermentation and maturation times – there is no way to hide faults in these beers,” McNamara said. “So to see smaller breweries such as Harviestoun produce a Gold medal lager is a wonderful achievement.